The Rome Statute of the International Criminal Court (often referred to as the International Criminal Court Statute or the Rome Statute) is the treaty that established the International Criminal Court (ICC) to prosecute individuals for genocide and other crimes against humanity. The ICC governs the prosecution of perpetrators of genocide, war crimes, crimes against humanity, and crimes of aggression. It was adopted at a diplomatic conference in Rome on July 17, 1998, and entered into force on July 1, 2002. The convention has been there since 2002 but the government did not agree to ratify the convention although it was passed by the United Nations (UN) many years ago. Signing the treaty on the Rome Statute provides a sort of a preliminary endorsement, but a treaty that is signed but not ratified is not legally binding. However, whether the Rome Statute is ratified or not, criminals from any country cannot escape prosecution by international laws. Even if a country does not sign or ratify the Rome Statute, the ICC under the jurisdiction of the UN has the latitude to investigate, prosecute and try individuals accused of committing heinous crimes of concern to the international community. This includes the crimes of genocide, crimes against humanity and war crimes. The ICC still has jurisdiction over crimes against humanity by any country as these are considered as international crimes. The UN Security Council has the power to give authority to the ICC to prosecute wrongdoers. Tribunals can be set up to serve this purpose. Systematic mass killing and the destruction or eviction of ethnic groups, as have happened in many countries past and present, will not go unheeded by the world body as they constitute a crime against humanity. For instance, a UN investigation reported that two to three million had been killed by members of the Khmer Rouge. The Cambodia Tribunal or Khmer Rouge Tribunal was established to try those responsible for the alleged violations of international laws and serious crimes perpetrated during the Cambodian genocide (April 1975 and January 1979). Although it is a national court, it was established as part of an agreement between the government of Cambodia and the UN, and its members include local and foreign judges as well as international observers. However, King Sihanouk who allied himself with the Khmer Rouge then was not implicated. Putrajaya may have its political reasons to withdraw its ratification of the Rome Statute, although this may not seem a wise move to many sensible Malaysians. Nevertheless, the primary aim of the government in ratifying the Rome Statute was noble and not with the intention to vitiate or impair the role of the royalties, the Malay race or Islam. Contrary to claims, signing or ratifying the Rome Statute is not detrimental nor would it affect the country’s sovereignty. Academics should not play politics by exploiting the issue and deliberately misleading the public about the Rome Statute. Spreading unnecessary fear or confusion in the minds of the people is in itself an offence. 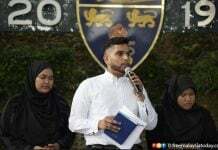 What more, the general public may not be familiar with the statute of the ICC and whether it challenges our constitution and the position of the Malay rulers and Islam. The Rome Statute should not be politicised by irresponsible elements in our society. The sole purpose of the ICC is to ensure that crimes against humanity and mass atrocities do not occur with impunity. Again, signing and ratifying the statute is not going to eat into the power of the Malay rulers or in any way affect the Malay race or Islam in the local context. The king, for that matter, cannot be held responsible for the international crimes covered by the statute – genocide, crimes against humanity, war crimes, and the crime of aggression – as the legal responsibility lies with the prime minister and the Cabinet. This confusion has to be allayed by local academics, lawyers and politicians. Perhaps some rulers were wrongly advised that endorsing the statue could be unfavourable to their positions as heads of state. If so, the Malay rulers could have been misguided into thinking that the treaty is a threat to the royal institution. 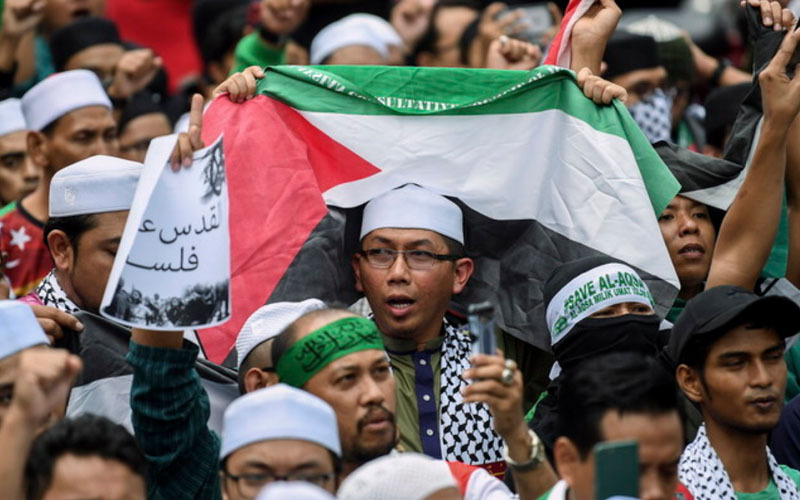 Malaysia has been very vocal in regard to the atrocities committed by nations against minorities such as in Myanmar, on the Palestinians by the Israeli occupants, and when both the Hutus in Rwanda and the Serbs in Bosnia employed ethnic cleansing as a means to gain power. 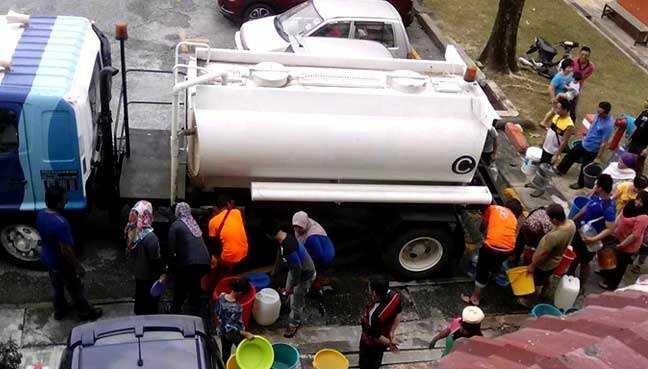 Malaysia, being a peaceful democratic country, never involved itself in such atrocities but reproached nations for their inhumane treatment of ethnic groups. Our rulers and political leaders have never condoned such genocide or other inhumane acts. Crimes against humanity, as have happened in many countries, involve among others genocide, ethnic cleansing, murder, enslavement, torture, imprisonment, sexual violence, forcible religious conversions of minorities and persecution on political, religious, racial and gender-related grounds. These are inhumane acts in any civilised society. Besides that, the forcible deportation of a population is a crime against humanity under the statutes of both the ICC and the International Criminal Tribunal for the former Yugoslavia (ICTY). Around 139 states have signed the Rome Statute, while only 122 have ratified the document, meaning that they are willing to use the ICC in their states. The court now has more than 120 member nations. Countries that are not members include the US, China, India, Iraq, Libya, Yemen, Qatar and Israel. The Nazi leaders who were prosecuted shortly after World War II for taking part in the extermination of the Jews and other mass murders were charged under existing international laws, such as for crimes against humanity, as the crime of genocide was not formally defined until the 1948 Convention on the Prevention and Punishment of the Crime of Genocide. Ironically, Israel has not ratified the Rome Statute and yet the country rigorously pushed for these Nazi leaders who committed heinous crimes against the Jews during the Holocaust to be prosecuted. Some countries have withdrawn from the statute due to their localised dissensions and problems, such as Thailand and the Philippines. However, crimes against humanity will not go unpunished regardless of whether a country signs and ratifies the Rome Statute, as there are enough international laws that can rope in those involved in crimes against humanity. As for Malaysia, it should not give in to pressure from dissenting groups. Some opinionated academics may have been lobbied to give narrow politicised interpretations of the Rome Statute and the ICC. To say that ratification of the Rome Statute would negate the immunity of the rulers, the special position of the Malays, and the position of Islam is absolutely unfounded. It smacks of emotions and politics and not reason or logic. The truth is, the Rome Statute has no effect on state rulers as they do not have any direct role in the army, the police or the execution of any foreign policy. Neither are Islam or the position of Malays threatened, as perceived by those who do not really understand the purpose of the statute. Every civilised nation has the moral duty to preserve peace and justice. The ratification of the Rome Statute signifies the cultured state of a nation. The statute is necessary across the globe to prosecute offenders who commit heinous crimes that have destroyed the social fabric of nations. The ICC will only go after the real wrongdoers who order or commit heinous crimes against humanity. Our rulers are ceremonial or constitutional heads of state. If any untoward incident were to happen in the context of our nation, the rulers would not be liable for any international crimes that they are not personally involved in. The king may be the supreme head of the federation (Article 32) and the supreme commander of the Armed Forces (Article 41). However, the king acts on advice. Our king is a constitutional monarch who is required by Articles 40(1) and 40(1A) to act on advice. Thus, only the head of government would be held responsible, not the king. The Rome Statute has its merits. It is created solely to criminalise wars and despicable acts against humanity. 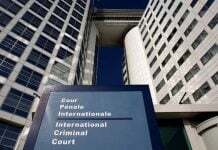 As a member, Malaysia could have a say against the unwillingness or inability of the ICC to prosecute heinous crimes and atrocities committed by countries like Israel and Myanmar, for instance. After all, these aggrieved parties have always been our concern. Without a doubt, Malaysia would not surrender its sovereignty by signing and ratifying the Rome Statute. Moaz Nair is an FMT reader.